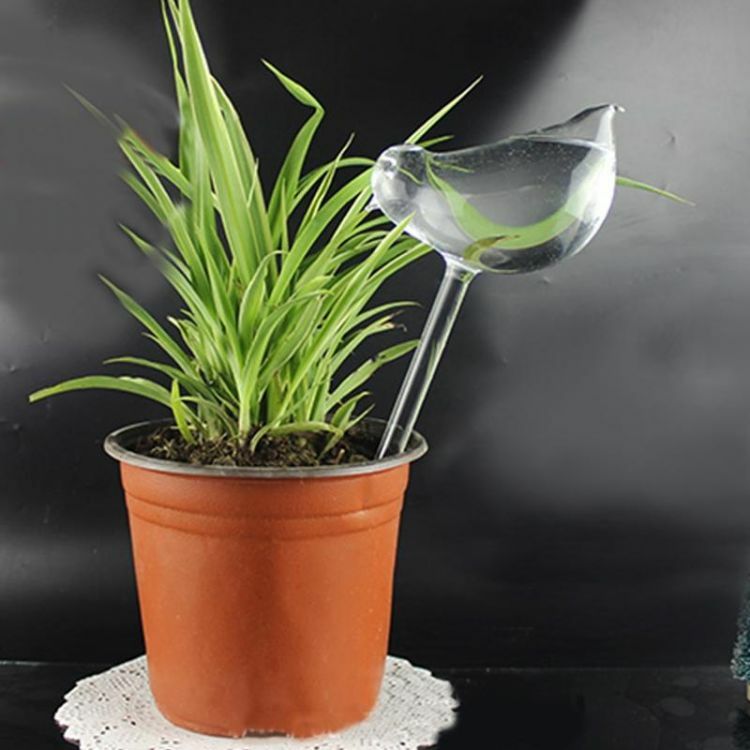 Self-watering system eliminates the need to worry about leaving your plants unattended! Each refill will last approximately a week. Makes a great gift for gardeners. Simply fill the globe from the bottom with water and insert into soil. To prevent clogging, cover the opening with gauze or cloth. Made of transparent and genuine hand-blown glass.